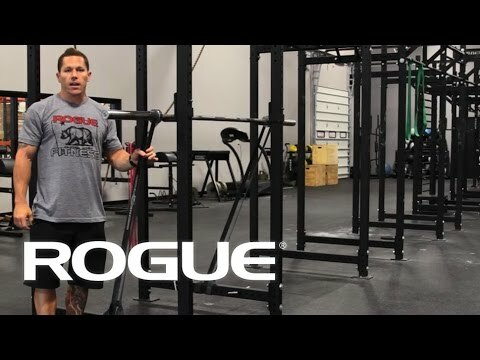 Use the Rogue Band Pegs for adding accommodating resistance. These also make a great storage pin to hang bands, chains and accessories. The Rogue Band Pegs can be used with the R-3, R-4, R-6, Infinity Rigs, Wall-Mounts and Abrams GHD's. The R-3, R-4 and R-6 ship with a set of band pegs. Rogue Monster Lite/Infinity Band Pegs - 4 Pack is rated 4.2 out of 5 by 5. Rated 3 out of 5 by randallwise from Bands slide off These are actually stronger than they look and slide in/out of rack holes quickly and easily. However, bands slide right off of these very easily. They should include some type of set collar or flange to prevent the band from potentially coming off during a workout. Rated 3 out of 5 by Matt Orahood from They are ok. I wish there was a way to lock these things in, I get a lot of movement sometimes with these pegs causing them to sometimes slip halfway out. Maybe I am not using them right? I do notice that they are bit more stable when using two on each side as opposed to one. They are better than nothing thats for sure. Rated 5 out of 5 by Marty Anderson from works great. not a whole lot to say. simply product does what it supposed to. i dont use them for band work really mostly just to hang stuff off. Rated 5 out of 5 by AgentWolfbutt from Works great for band squats Use these on my Monsterlite rack for band squats. Fit perfectly, perform as expected.